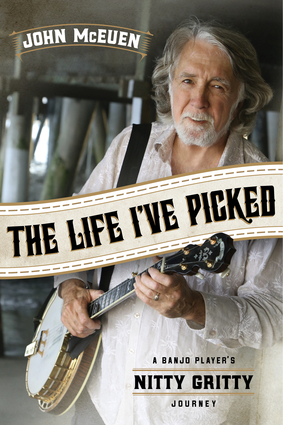 John McEuen is one of the founding members of the Nitty Gritty Dirt Band, NGDB. Now 50-years strong, the band is best known for its evergreen bestselling album Will the Circle Be Unbroken and for its gorgeous version of the song "Mr. Bojangles." McEuen is one of the seminal figures who conceived and originated the fusion of folk, rock and country, a unique sound still hugely popular today. 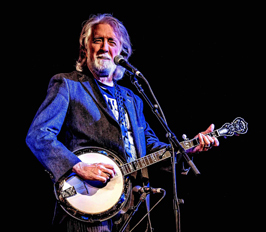 In addition to performing on tour with the Nitty Gritty Dirt Band and on dozens of bestselling NGDB albums (many of which went platinum and gold), McEuen also has a successful solo performing and recording career. And as a music producer, he won the Grammy Award in 2010 for producing The Crow, a music album by Steve Martin, John's lifelong friend. 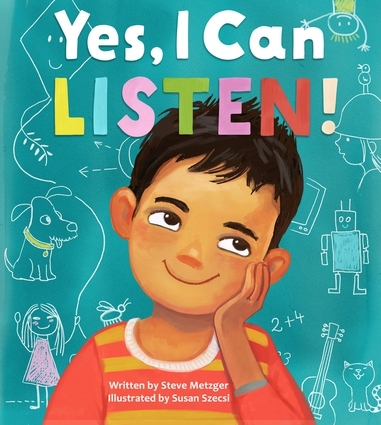 McEuen writes candidly and movingly about the ups and downs in his life. Among the highs was NGDB's tour of the Soviet Union in 1977; they were the first American group to perform there. Among the downs was the breakup of his family in the 1980s. McEuen is a born storyteller, and his tales of working with everyone from Linda Ronstadt to Willie Nelson to Johnny Cash to the Allman Brothers to Bob Dylan to Dolly Parton to, of course, Steve Martin will thrill every fan of folk, rock, and country music alike. A cofounderof the Nitty Gritty Dirt Band, John McEuen has made over forty albums, hosts his Sirius/XM Satellite show called Acoustic Traveller, and is CEO of SyndicatedNews.Net.